Thank you to our SWE Collegiate Counselor Susie Kirkland for leading a successful officer training. Also a big thank you to the Mission Trails Regional Park for hosting our meeting for free. We are so excited for the new school year! 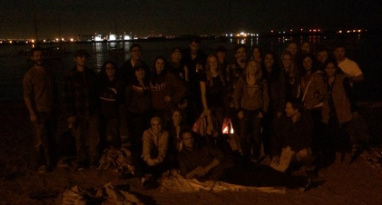 Thank to everyone that joined SWE and Tau Beta Pi for our first joint social event of the semester! We plan to have more events like this in the future so keep an eye out for those and hopefully you can join us again in the future! Happy Halloween from SWE! Thank you to everyone who attended our general body meeting and we hope you all enjoyed the pumpkin carving contest. It was great getting to know everyone a bit better and we look forward to future events together! Thank you to everyone who joined SWE in our gift wrapping drive and those of you who donated as well! The families we've helped will have a wonderful Christmas holiday this year thanks to everyone's contribution. 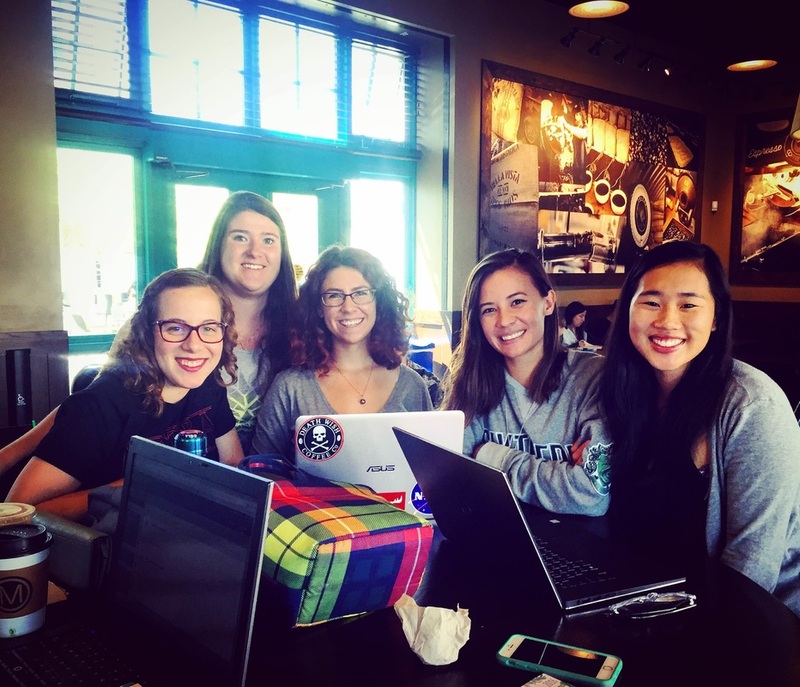 We had the opportunity to learn so much about SWE San Diego Section and the many ways to get involved at their 2014 Open House. 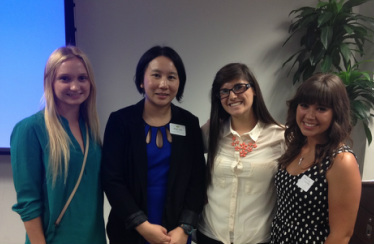 Our members Natalie, Abbi, and Julianna attended, networked, and got a picture with SWE SD President Denise Tung. Thank you to everyone who came to Check the Box! We hope you girls learned a few things and enjoyed this event. Good luck to you all when you enter college! SWE will be here to support you. Also thank you to our volunteers for making this event possible! Please look forward to our next outreach event. Happy Holidays! 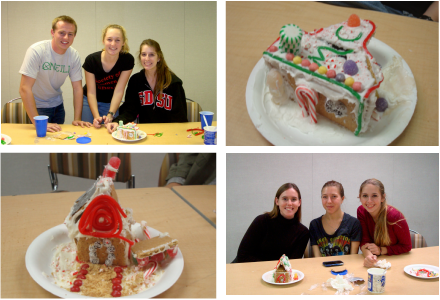 You all did a great job engineering sturdy ginger bread houses and hopefully everyone enjoyed there time at this last general body meeting of the semester. SWE wishes all of you have a fantastic break and we look forward to seeing you next semester. Thank you to all the companies and students for attending our Evening of Professional Development! The officers worked hard in organizing this event and it was a great pleasure to see everyone and receive such great feedback. We hope everyone found this event to be an enjoyable opportunity to meet with professionals in industry as well as fellow engineering students. SWE will work to improve this event to bring you an even greater experience next year so we hope to see everyone again at EPD 2014! Spending the day with young girls from local San Diego schools as we show them some of the fun things involved in the STEM field. Students got the opportunity to participate in various experiments and interact with our engineering students to get a preview of college life. We hope to see all of you again at our future outreach events! 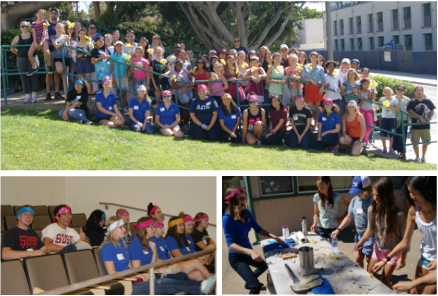 Collaborating with the San Diego Girl Scouts to encourage young girls in the field of engineering through various activities. 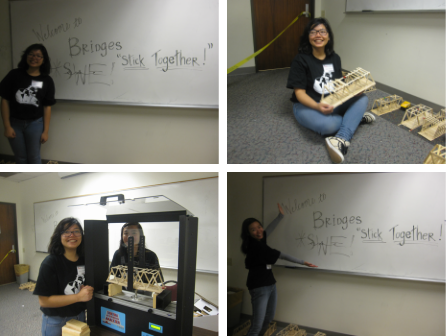 This was a fun and good opportunity to volunteer and provide guidance to the future generations of women engineers! 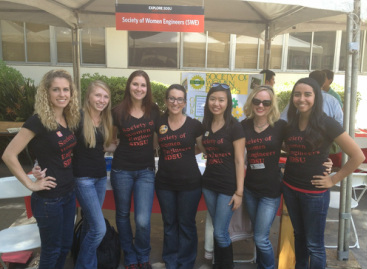 We want to thank everyone who came to our table at Explore SDSU Day! It was a great opportunity for us to meet some of the new incoming students and we were excited to see that so many girls were interested in our organization. We hope to see all of you next semester! Meeting local companies and fellow engineers for a career fair. 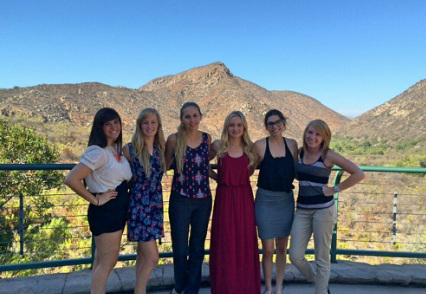 This was a great opportunity to meet professionals in the field as well as network with SWE of USD. Joining local professional and collegiate members for a day of professional development, outreach training, and networking. Congratulations to all the new officers that will be joining us this next year! We look forward to working with all of you and hopefully we can continue to grow as a stronger team and organization as a whole. 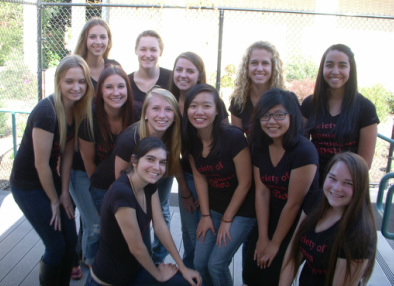 To learn a bit more about these wonderful ladies, visit our officers page for updated biographies and contact information! Thank you to everyone who came by to support us on Pi Day and we hope to see you at our future events and meetings! Thank you to everyone who came to our first general body meeting of the semester!! It was great to be able meet everyone and play true colors. Hope to see everyone again at our next meeting! Volunteering for the Mathematics, Engineering, and Science Achievement program to ensure a great experience for middle and high school students in the San Diego county as they compete in several STEM events.